Chuck Herring, formerly of DigitalGlobe, is one of three founders (Joe Bermudez and Stephen Wood) of the startup company Allsource Analysis Inc. (ASA) Located in the heart of Colorado’s Front Range geospatial hub, commercial imagery intelligence and analytics products AllSource Analysis Inc. (ASA) is establishing itself as a company to address specific analysis and monitoring challenges using commercial satellite imagery and remote sensing. Led by an executive team of seasoned industry professionals and satellite analysis experts, ASA serves a variety of industries, including: humanitarian rights, energy, financial and government and security. For the sake of this interview with Herring, we focused on the partnership of ASA with the The Committee for Human Rights in North Korea (HRNK). The partnership is designed to monitor North Korea’s infamous political prison camp system. ASA and HRNK will periodically release reports of this ongoing collaboration, using satellite imaging and analysis to track the camps’ activities in this revolutionary humanitarian project. Previously, Joe Bermudez had been working with HRNK doing pro bono work to help them out. But the partnership with AllSource enables HRNK to expand their work in that area. With access to many different satellite constellations and other data sources, AllSource can monitor the North Korean political prisons from space. Additional information is available from HRNK from escapees from the prison camps, which can provide ground truth and verification of what is seen using commercial intelligence. 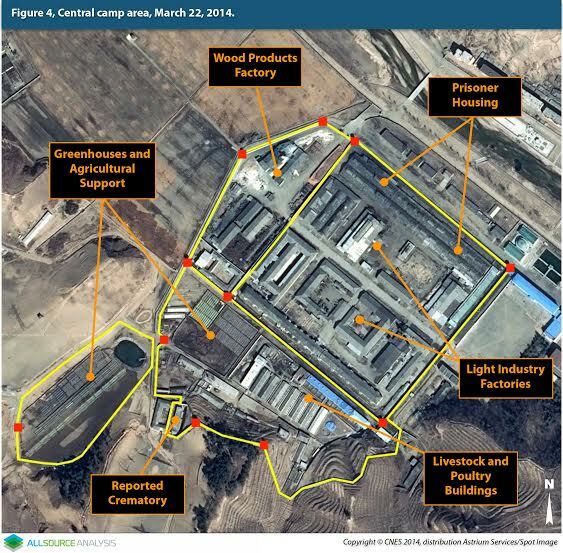 There is not much information available from North Korean government sources, obviously, so the imagery from space and commercial remote sensing, analysis and Open Source research provides information on the size of the camps, activities such as agriculture, extraction, where they are building more or closing camps. “In partnership we are getting regular updates, that’s really HRNK’s mission to be able to expose and provide information on what’s going on in North Korea for this project,” said Herring. The focus for this project is on commercial satellite imagery partner products such as those generated by DigitalGlobe and Airbus. Co-founder Bermudez has a long history of expertise in Asia and is also a specialist in Open Source research. Much commercial and Open Source information is bundled with satellite imagery. Of the commercial constellations the two primary providers are DigitalGlobe and Airbus, chosen because their constellations are so robust. AllSource provides a regular report on various camps that HRNK is interested in. This involves a daily revisit plus the historical information – imagery analysis, change detection, identification of key features and really what’s going on. They combine a mix of imagery with annotations and editorial — a package of a report on a regular basis of activities at that facility. Larger government agencies, regional and global governments really want to put the pressure on to change humanitarian situations. Herring said some of the work they did at DigitalGlobe with the regional scale geological mapping of the Sudan was also about gathering accurate information so people can take action and put pressure on governments to enact change in humanitarian situations. “If you have solid concrete, information to base action on, then it’s more likely people will join that movement,” said Herring. AllSource will bundle data such as geospatial information, GIS, mapping, terrain and Open Source research. The more information you are able to bundle then the more accurate the final product will be. Information such as precise location, terrain, vegetative changes, facility changes, precise measurements, tradecraft for imagery analysis can be bundled. It’s all very complex information that when analyzed and bundled, is very useful to those who aren’t going to buy a single satellite image or know what to do with it. “HRNK sees the value of being able to illustrate and document, yet they don’t understand how to acquire and extract imagery informatoin. They want someone to do it for them,” said Herring. There are many micro-satellite companies launching various resolutions. Airbus has two high-resolution radar satellites, and if they provide HRNK with a radar image of one of the camps, they’d have an optical image. What is needed are companies like AllSource who are trained to look at a radar image and compare it to a historical image, as well as look at optical images like are available on Google Earth. AllSource can harness the information. They have people who’ve been trained to look at a radar image, understand it and know what’s important and be able to compare that to a historical image, as well as collect optical images like you see on Google Earth. Customers do not want to have to wade through images from four or five different companies. This is complex data and they need someone to assemble and analyze the flood of commercial imagery that is available. This entry was posted on Wednesday, January 14th, 2015 at 11:49 am. You can follow any responses to this entry through the RSS 2.0 feed. You can leave a response, or trackback from your own site.